2'X3' Patchwork hair on cowhide doormat. 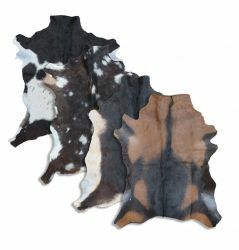 Cowhide may vay from shown! 3'X5' Patchwork hair on cowhide area rug. 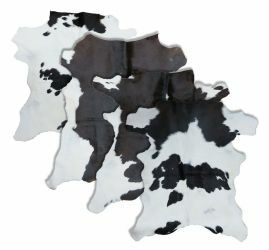 X-Large Argentina cowhide rugs. Sold in assorted colors ONLY. Full Calf Hides. Measures approximately 7.5-10 square feet. Colors/ shades, patterns and sizes will vary. Some hides may have scars or brand marks. Full Goat Hides. Measures approximately 6.5-9 square feet. Colors/ shades, patterns and sizes will vary. Some hides may have scars or brand marks. Full Brown and White Argentina cowhide. Measures approximately 32-37 square feet. Colors/ shades, patterns and sizes will vary. 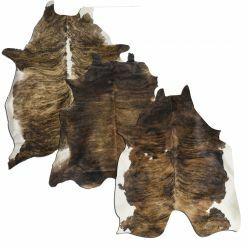 Some cowhides may have scars or brand marks. Full Hereford cowhide. Measures approximately 32-37 SF. Colors/ shades, patterns and sizes will vary. 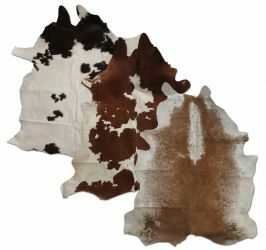 Some cowhides may have scars or brand marks. 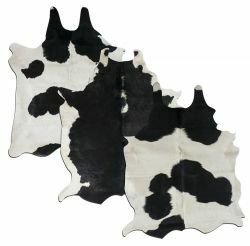 Full Black and White Argentina cowhide. Measures approximately 32-37 square feet. Colors/ shades, patterns and sizes will vary. 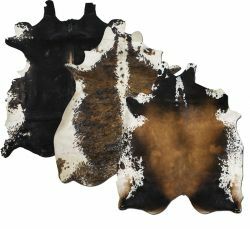 Some cowhides may have scars or brand marks. Full TRI-Colored Argentina cowhide. Measures approximately 32-37 square feet. Colors/ shades, patterns and sizes will vary. 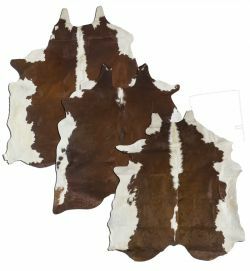 Some cowhides may have scars or brand marks. Full Brindle Argentina cowhide. Measures approximately 32-37square feet. Colors/ shades, patterns and sizes will vary. 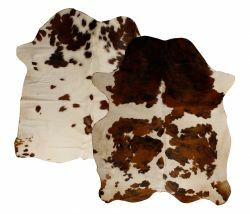 Some cowhides may have scars or brand marks.